Our exclusive Glamour Shots® calendar designs are a beautiful and useful way to display your portrait images. 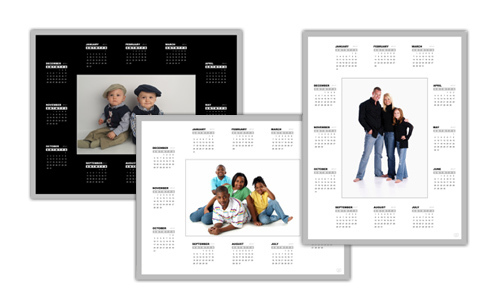 Our calendars are available for vertical or horizontal images, with a silver or gold border and come in several sizes. This product makes a great gift that can be used at home or in an office!